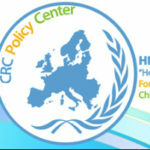 Melina Dragoumi is an Administration Officer at the Children’s House of “Hope For Children” CRC Policy Center since September 2017, a position she was prompted to accept given her interest and care for humanitarian affairs. A graduate of the Terra Santa Private School. She successfully graduated from AMERICANOS COLLEGE, holding a degree in Office Administration. Melina has previously worked as a secretary for private companies, and also as a freelancer for the recording of acoustic texts. From 2000-2016 she worked as an operator in the production of image and sound, at CHRIS OLYMBIOS STUDIO. 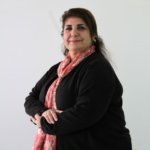 Between 2013-2017, she was a volunteer-director in the production of Holocaust of the Jews in cooperation with the Israeli Embassy. She has directed small plays, stage manager and producer of short films presented at various events. She has worked as a Production Coordinator for three short films of the AWARE campaign of the Asylum and Migration Service.